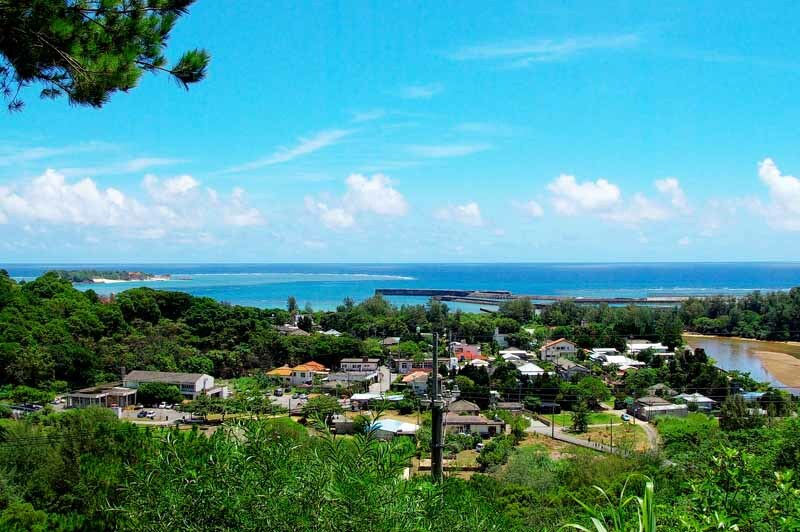 Here's a photo of what Okinawa, Japan looked like after the last earthquake I reported on in February 2010 and this is pretty much what I expect it to look like tomorrow, except, it may not be so sunny. There's a flood of emails coming in and I appreciate everyone's concern. This is the quickest way for me to reply. Please pass this on to anyone who may be worried. Okinawa island is hours away, by plane, from where all the damage has been done. If you hear anything about Taiwan getting hit, I'm closer to that island than I am to mainland Japan. So far, the worst of the tsunami has passed. It was something like 20 centimeters (8 inches) from what I've gathered. Please don't worry about me. I can handle worse things than that. I'm a married man ! I have found that the GOOGLE CRISIS RESPONSE seems to be the best place to go for maps, locations and accurate updates. The folks up in Sendai are the ones we all need to be concerned about and I hope everyone helps them make a speedy recovery. I'm glad you're OK, Mike. Thank you, too. LOL, you're probably a lot further away form the action than I am. I hope ! That's sweet of you. Thanks! Glad to hear you're safe Mike, I've been watching the news footage since the earthquake hit. The poor people, I dunno what to say really. I hope they can find survivors and get them out, the BBC have been reporting that the nuclear plant at Fukushima is in danger? One small positive point is that the UK have offered Japan all our rapid emergency response teams, who are ready to fly out. Stay safe. Thank you for giving me the idea to let everyone know Okinawa is safe, here on the blog. Otherwise I'd be answering mails for the next two weeks. It's really horrible what happened up north and I'm glad to hear the whole world is responding with offers to help. I google Okinawa, Japan and your blog came out from the many entries. Thank God Okinawa is not affected I am concern of my cousin who live there. I am saddened waking up this morning of the news that happened in Japan. My heart goes out to all the people and my prayers is with everyone. Thanks for posting this I really do appreciate it so much! Be safe and God bless! Thanks Mike. I just left Okinawa and my daughter and family are still there. It's nice to have your link. Thanks for the information. Found it via my old shipmate Glen Porter this morning. I have family in Uruma and haven't been able to hear from them yet. Idk who you are Mike, but i have been searching online for the status of Okinawa(my husbands step brother and family live there) this morning and after finding this blog i must say i am relieved and thankful everyone there is safe, including you! Thanks Mike! Hi Mike, Thanks for updating us on how Okinawa fared. My 80-year-old mother and brother live there and I haven't been able to get through. Most of the early broadcasts just focused on mainland Japan. Glad to know you all are OK. Thanks a lot for the update Mike. I have a cousin in the Marines and he's stationed in Okinawa. Trying to get in touch with him but no luck so far. Your posting releives me a bit. Thank you so much and be safe! Thanks for commenting. I try and say something everyday here and keep you informed. Maybe even put a smile on your face. But, sometimes, I sleep through the bad weather. We're all safe and there's nothing to worry about in Okinawa. It's the folks up north who need help. I truly appreciate your update on Okinawa. My son, age 20, is at Camp Hanson there. I couldn't even google a decent map to show how close he was to the epicenter. Your site was my life-saver. Thanks! Kim, Muza-chan, another Kim,, Cyndi, Allen, Gayla and Marmorales, WHEW, hope I didn't miss anyone! All is well on our tropical paradise 'cept we could use a little sunshine today. A bit overwhelmed with emails, Facebook messages and Tweets this morning so, sorry I can't address each of you individually. I'm an old goat who types with one finger! If you have friends or family here, they are safe and will be fine. We all need to be worried about the people up in Sendai and I'm sure, the world's hearts go out to them. It's unfortunate circumstances that brought many of you here. I hope we become good friends during the good times. Like, next week! Glad you're OK -- was wondering. Thanks for the post. Glad to be of service. Tell the young Devil Dog to look me up and maybe I'll buy him a beer ! Thanks. Glad to see you visit again.